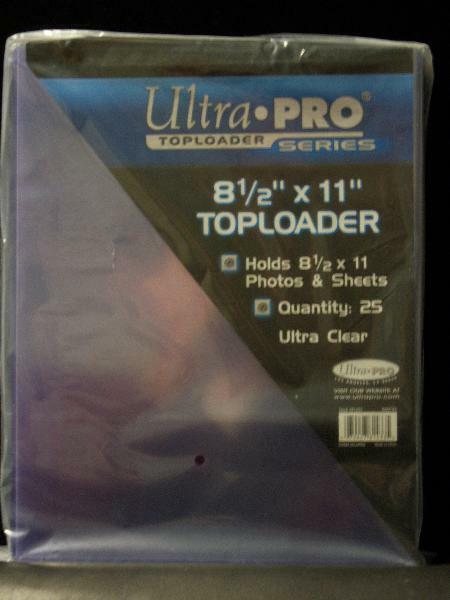 Kevin Savage Cards is pleased to offer for sale a pack of Ultra Pro 8-1/2" x 11" Top-Load Holders. Each pack contains 25 holders. These holders open from the 8-1/2" side!